Dentistry has come a long way from the days of merely pulling or filling teeth. Cosmetic dentists with a holistic approach to their craft can achieve remarkable outcomes nowadays. With state-of-the-art technology, meticulousness and a vast knowledge and understanding of holistic dentistry, our dentists provide our patients with the finest dental care that converts a middling set of teeth into a magnificent smile. We also provide emergency dental treatment for those in dire need of treatment. If you are in need of a holistic dentist, cosmetic dentist or an emergency dentist we are your answer at Cloud 9 Dental. 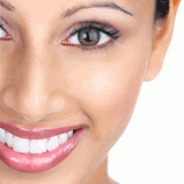 We know how important the aesthetics of a smile are as well as the health of your teeth. Dr. Barron & Cloud 9 Dental offer customized and personalized dental care of standard which meets the highest expectations for esthetics, biocompatibility and functionality. We perform exclusive and special dentistry based on scientific evidence mixed with a scent of art and creativity. This is accomplished by applying the latest technology, knowledge and diligence to transform poor or average into gorgeous smile.